With the somewhat sad reality that driving an extra 2 hours to get to Worcester is cheaper than getting down to NYC for a show (tolls, tolls, and more tolls), this mid-week drive was sure to be a taxing one. But the chance to catch Psycroptic and The Kennedy Veil in one night? Totally worth it. Getting to the Palladium just after doors opened, it wasn’t long before the night’s only local act, The Last King, took the stage. With the small crowd, vocalist Eric Zuchowski decided to utilize the floor for much of the band’s set, getting up close and personal with the crowd as well as the top of the bar. 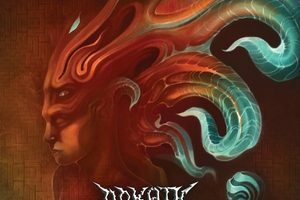 Certainly amping up the intensity and entertainment of watching the band, though the number of breakdowns in this deathcore act impeded a bit of personal enjoyment from it. Next up was The Kennedy Veil, a band that I’ve been dying to take in since they released Trinity of Falsehood last year. They did not disappoint. Incredibly tight (minus the little guitar malfunction KC Childers dealt with – causing him to have to borrow a guitar for the remainder of the band’s set), The Kennedy Veil blasted through much of the afore-mentioned album (including standouts “Ad Noctum,” “Perfidia,” and “In the Ashes of Humanity”) with precision and intensity. The band’s brand of hyperspeed (damn they play fast, even live!) still translated over to much headbanging and some moshing (which would seemingly escalate with each act) and it took little time for the band to win over the crowd with their energized performance. Hopefully it won’t be long until they release a follow-up and hit up the east coast again. Ovid’s Withering took the stage next, firing on all cylinders with arguably their most crushing number, “Murder to Dissect.” The symphonic death metal band has some lengthy tracks, meaning we were only to take in a few, but they satiated the growing numbers within the Palladium’s upstairs. Vocalist JJ “Shiv” Polachek offered the mic over to fans at several key points in the songs, who swarmed in to get their chance to aid in the performance. The sometimes chugging riffs offered plenty of opportunity for the sore neck to come. It’s clear these guys have a growing fanbase (as also evidenced by the number of Ovid shirts in the crowd) and are off to promising things. By the time that Arkaik hit the stage, the upstairs started filling in a bit more (though admittedly low for a Palladium event, particularly with the talent involved on this evening). A little less familiar with Arkaik than the rest of the bands, they sure did make a lasting impression. 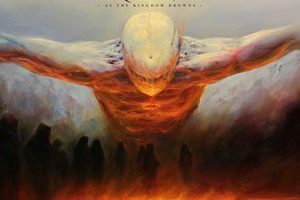 Alongside The Kennedy Veil, Arkaik sticks to the ‘no frills – no fuss no muss’ approach that gives the audience the best of what technical death metal has to provide, with none of the added fluff. Vocalist Jared Christianson worked the crowd, while Greg Paulson worked some dizzying riffs. Their new album comes out in October, and will certainly be worth a listen after catching the live act. Alas, with sore neck already kicking in from the earlier bands, Psycroptic took the stage to some rabid fanfare with “Cold.” The first time I’ve been able to witness the Tasmanian act, Psycroptic came across as a ball of furious death metal energy. Vocalist Jason Peppiatt was practically bouncing across the stage, moving quickly from one side of the stage to another, frantically headbanging (and frequently encouraging us to do the same) and belting out snarls and shouts with an crazed yet captivating performance. Bassist Cameron Grant was almost as motile as Peppiatt, engaging the audience regularly while the Haley brothers worked the often insane and tricky beats and riffs with a studio-quality performance. Playing for over an hour (including a 2-song encore), the band’s energy was infectious – inciting copious amounts of headbanging and the evening’s largest mosh pits. The audience would start chanting “Psycroptic” between a few songs as the set wore on. 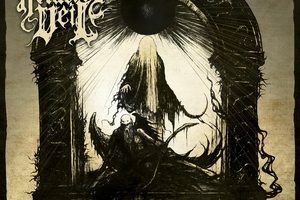 Firing off a few select cuts from their latest self-titled release (“Sentence of Immortality,” “The World Discarded,” “Echoes to Come”) as well as some older tracks, the band focusing mostly on their last few albums (including “(Ob)Servant,” “Carriers of the Plague,” “Forward to Submission,” and “The Sleepers Have Awoken”). All in all a pretty solid selection of cuts from the band. 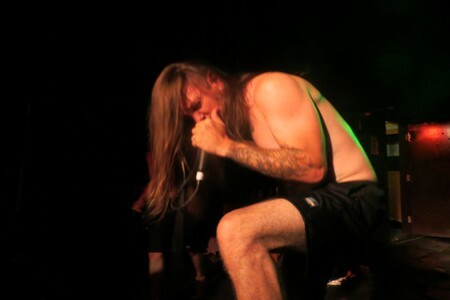 A massive credit to Psycroptic for firing off such a high-energy performance from the get-go and sustaining it. There’s a reason Psycroptic is one of the genre’s finest acts. There’s still some dates left in this tour, don’t miss out on what’s definitely the most brutal tour package of the season.